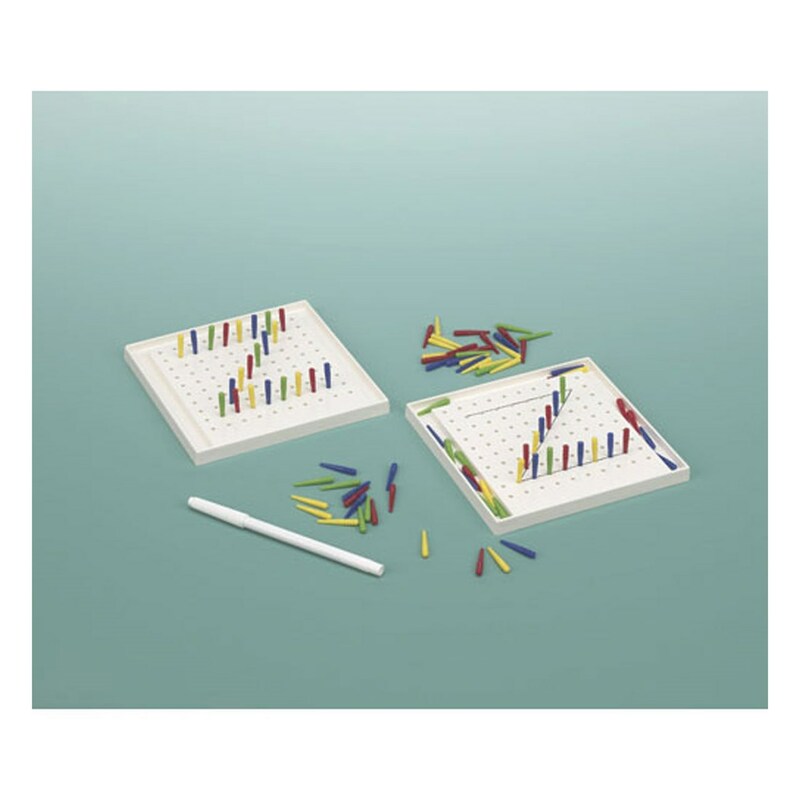 Peg-It therapeutic tool helps with fine motor skills and serves as a research, evaluation and treatment tool for upper extremity and visual perceptual skills. This is an excellent tool and game for individuals who have suffered a stroke or have other neurological issues. Ideal for occupational therapists to use with children and adults, combining the improvement of physical skills and critical thinking. Measures pinching capabilities, improves dexterity, grasp and visual coordination. Contains two 100 hole pegboards, 100 multicolored pegs, a water-soluble ink pen, reproducible pegboard designs, and a complete manual. Pegboards are 6 x 6 x 11 1/25 in. with a channel around three sides to hold pegs.